Support families in need while achieving company goals. 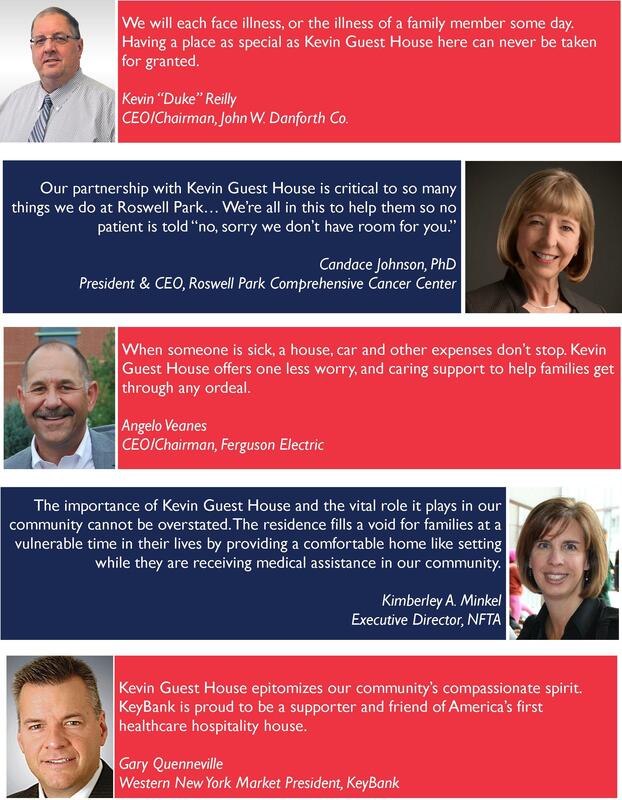 by supporting Kevin Guest House. Together you will encourage creativity and build invaluable bonds. Host a dinner for our guests at the house or get your hands dirty on a project around the house or garden. Celebrate with employees, clients & friends while promoting corporate values. Raise funds through dress down days, bottle & can drives, offer customers to “round up” their purchase, or other donation drives. Be a champion for our guests by providing direct support for daily house operations while your company is promoted to our guests during their stay.